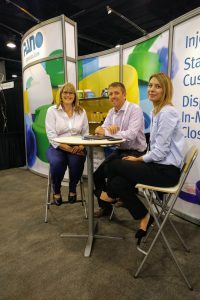 In the constantly changing packaging industry, success requires an appropriate mix of creating and following trends. Here at Pano Cap we create unique closures that can always be modified to meet our customers’ needs and wants. In recent years we have noticed that more and more customers are requesting smooth wall caps. A majority of these customers are in the Nutraceutical industry. Our 120mm Deep Skirt Smooth Wall was a result of these request. Based on the positive feedback of the 120 Smooth Wall, Pano Cap is gradually working on making a full line of Smooth Wall, wide mouth caps. 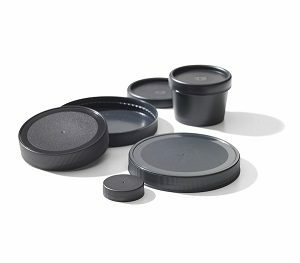 A smooth version of our 89-400 and 110-400 shallow caps will be the first to be produced. Pano Cap Canada reached it’s 50th anniversary on January 20th, 2017. But the real celebrations were on June 9th, when employees, alumni, guests, suppliers, customers, and friends, came together to under the sun and enjoyed the occasion to the fullest. The hors d’oveurs were splendid, as were the appetizers, main course, and deserts (creme brule, delicious!). The beverages were as refreshing and plentiful as the conversations. Former, current, and maybe even future presidents of Pano spoke, as no stone of Pano Cap’s illustrious history remained unchecked. Guests from Germany, Brazil, and every part of Canada and the US, enjoyed the live music, the maple syrup gift, and a walking tour of the facilities. The general great mood that surrounded the event was a true representation of Pano Cap’s spirit. All those who attended and contributed, not only on the day of the feast, but throughout the entirety of the 50 years of operation, are testaments to the foundation on which Pano Cap Canada is built: caring and helpful people! If the celebration was any indication of the next 50 years then we say: onward! In two months time we will arrive at the official celebration of Pano Cap Canada Ltd.’s 50th anniversary. The plant will shut down for the day (and for the night) to accommodate the festivities. A tent will occupy the parking lot, many tables and chairs will occupy the tent, and many of Pano’s friends and families will occupy those chairs. Speakers will wow, presentations will amaze, and the food will be unquestionably excellent. Thriving for 50 years is a testament to all of the people who have pulled together and contributed any which way to help Pano flourish and set the groundwork to continue to flourish for the next 50 years.